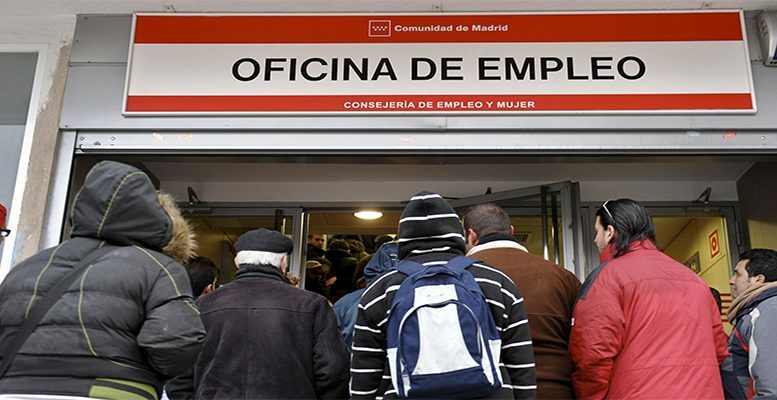 Spain’s unemployment fell by 462,000 people in 2018, 12.3% less than in 2017, registering its sixth consecutive annual fall. However, this reduction is less than those experienced in the previous four years, although more than in 2013, when unemployment fell by 85,400. According to the National Institute of Statistics, the unemployment rate at the end of 2018 was 14.45%, 2.1 percentage points less than in 2017 and its lowest level for 10 years. For its part, employment grew by 566,200 people in 2018, almost 3% more than 2017, securing its fifth consecutive annual increase and the largest increase since 2006, when 686,200 jobs were created in Spain. In this way, 2018 closed with 19,564,600 in work and 3,304,300 unemployed. In both cases, we are seeing a return to the levels of unemployment and employment registered at the end of 2018. To these figures should be added the fall in unemployment by 21,700 (- 0.6%) and the increase in employment by 36,600 (+0.2%) in the fourth quarter of 2018. The fall in unemployment completes six successive years of falls, following six successive years of increases in unemployment. The largest fall in unemployment in the historic series was registered in 2015, with 678,200 fewer unemployed. In 2018, Spain created employment for the fifth consecutive year after six years destroying it. Thus last year 566,200 jobs were created, with an annual increase of 2.98%, higher than the year before (2.6%). The majority of the jobs last year were created in the private sector, with 430,000 new jobs (+2.7%), compared to 136,200 jobs created in the public sector (+4.4%). Salaried employees increased in 2018 by 531,000 (+3.3%), of which 363,700 had indefinite contracts (+3.1%) and 167,300 were temporary contracts, 3.9% more than in 2017. The level of temporary work closed 2018 at 26.86%.